Starry-eyed Wilson finds her dreams come true -- sort of -- with Hemsworth. 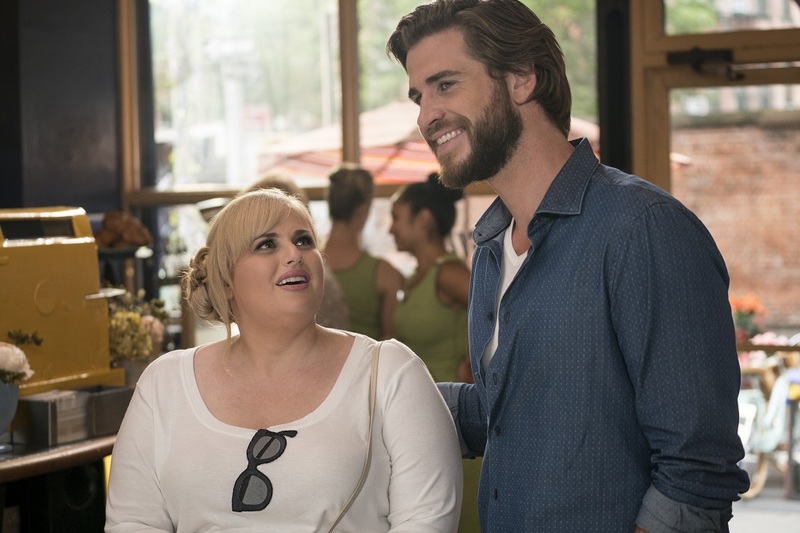 Put Rebel Wilson in a movie and just about everyone in the audience likely will laugh out loud somewhere along the viewing line. So, how come "Isn't It Romantic" isn't so funny even with Wilson on board as the full-blown star? The alleged comedy begins in Australia with a young girl glued to her television set all dreamy-eyed and enjoying Julia Roberts' classic bathtub scene in "Pretty Woman." Then her Mum (Jennifer Saunders) bursts the youngster's bubbles with, "Somebody might marry you someday for a visa, but that's about it." The cynicism continues in New York 25 years later when the once-budding film fan turns into Wilson as Natalie, a successful, if put-upon architect, either pushed around or ignored by superiors and co-workers alike. It all serves the premise of why she hates everything about romantic comedies that most people might love. That group includes her lazy personal assistant (Betty Gilpin from "GLOW"), who just happens to be watching "The Wedding Singer" on a computer during work hours, and a "best buddy" (Adam Devine, reunited with Wilson from their "Pitch Perfect" movies). Unless everyone is already too bored to notice, an ongoing work habit from Devine's nice-guy Josh also serves as the key ingredient for an early and blatantly obvious giveaway on where their relationship is headed in this one. I mean, is anyone really paying much attention in this under-90-minute film that has to credit three screenwriters for making fun of rom-coms, yet never convincingly executes? In fact, after Natalie gets knocked out in an extremely mean-spirited subway mugging, the whole mess becomes an East Coast version of "La La Land." As if! Regardless, while a rich, self-centered client (Liam Hemsworth) suddenly goes ga-ga over Natalie, a billboard model (Priyanka Chopra) turns the same trick with Josh, and the cliches the movie supposedly is mocking start falling from the sky. A few actually do land, such as one throw-away Fitbit joke and a few well-placed ballads, most notably "No More I Love You's" from Annie Lennox. Otherwise, only the stumbling, tumbling, mumbling Wilson seems interested in working hard enough to make people enjoy their night out at the movies. Here's hoping that someday, somehow, somewhere, somebody will write a screenplay worthy of this woman's significant comedic talents in another lead role. Valentine's Day or not, "Romantic" isn't it. FYI: The silence became especially deafening at the end of this week's promotional screening when just one person slowly clapped three times. I kid you not, it sounded exactly like the running gag of one-man applause that signed off TV's '60s-era "Rowan & Martin's Laugh-In" each week -- only without the laughs preceding it. Young and brave Zain is a legitimate find. Already Oscar-nominated in the category of Best Foreign Language Film and winner of the Cannes Grand Jury Prize, "Capernaum" obviously becomes a much better choice among this week's debut offerings. 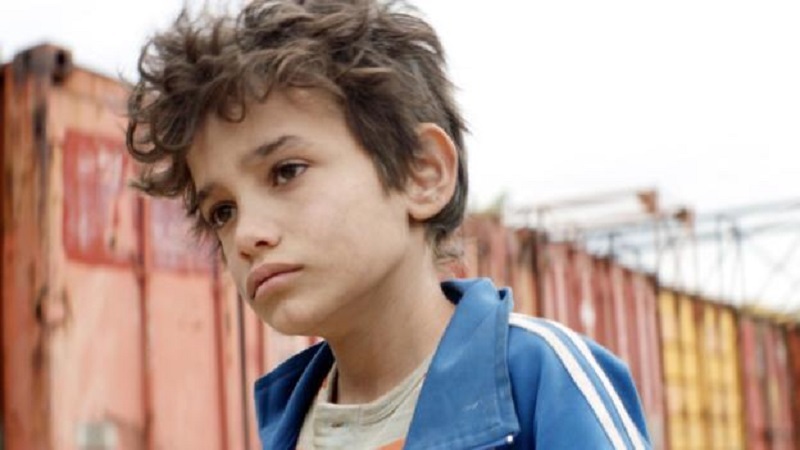 The gut-wrenching drama about a streetwise 12-year-old dealing with limitless poverty in Beirut, features a massive performance from tiny Zain Al Rafeea. He's a Syrian refugee himself, discovered (like many in the cast) by director and co-writer Nadine Labaki (2011's well-received "Where Do We Go Now"). The kid's instincts truly are stunning, whether he's stealing from vendors or susbsequently stealing our hearts by courageously protecting younger siblings, as well as the equally adorable infant unexpectedly left in his care. Sad and humbling as most of Labaki's respectful story becomes, one final, full-screen image of Zain offers us hope that her hero -- and certainly ours -- might discover a life as just a little boy.